Buckinghamshire and Bedfordshire may be landlocked but punch above their weight when it comes to man-made lakes. It’s because clay – that gooey brown stuff beneath our feet – once made the region’s fortunes. Until a few decades ago this green and unspoilt part of England was littered with clay pits, potteries and smoke-belching kilns. Nobody makes bricks here anymore but the bones of industry still litter the landscape. 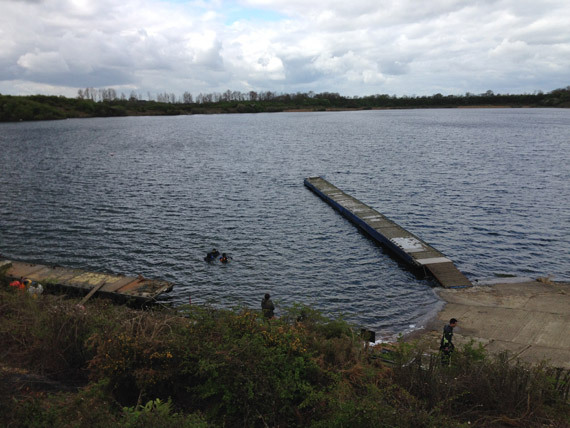 My local club (Milton Keynes BSAC) has access to their own small lake which was once a small brick foundry. 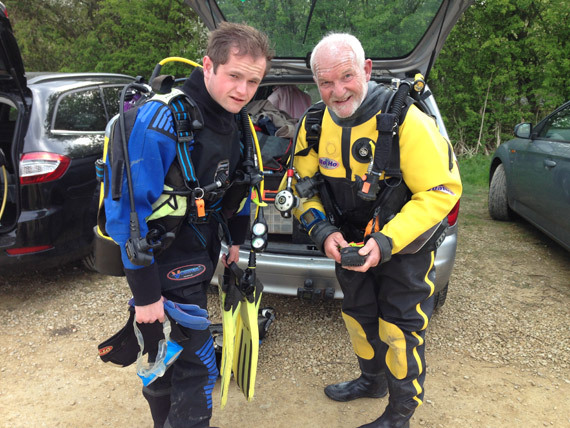 Given the choice I’d rather be beside the seaside, but any dive is better than no dive. 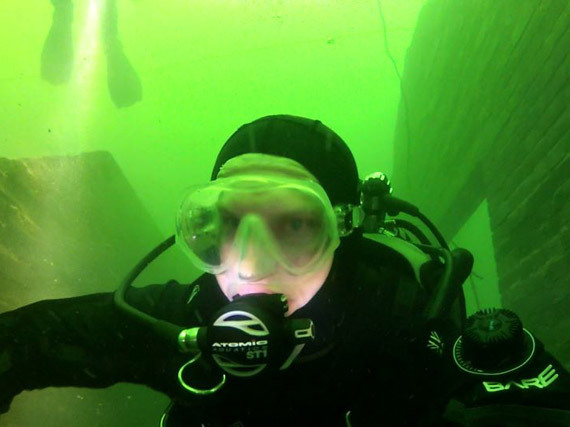 So when Great Moor sailing club invited us to dive in their lake, we were on. Grebe Lake in Calvert near Buckingham is actually split into two lakes by a road down the middle. The pits either side – both of which are massive – were once connected by a narrow gauge railway tunnel that still exists. This tunnel is 100 metres long and almost filled to the top with silt, so we’re staying well away today. Our target is two ‘houses’, actually former pump houses responsible for keeping the water at bay when the clay was removed. They appear out of the murk and we spend time pootling around inside. One has lost the roof entirely and the other has beams and parts still intact, with shafts of light poking through. Someone has swum through already today and left a silt cloud in their wake. We return via a laid line into the shallows. The promised killer pike eluded us, but I’ve a feeling we’ll be back.